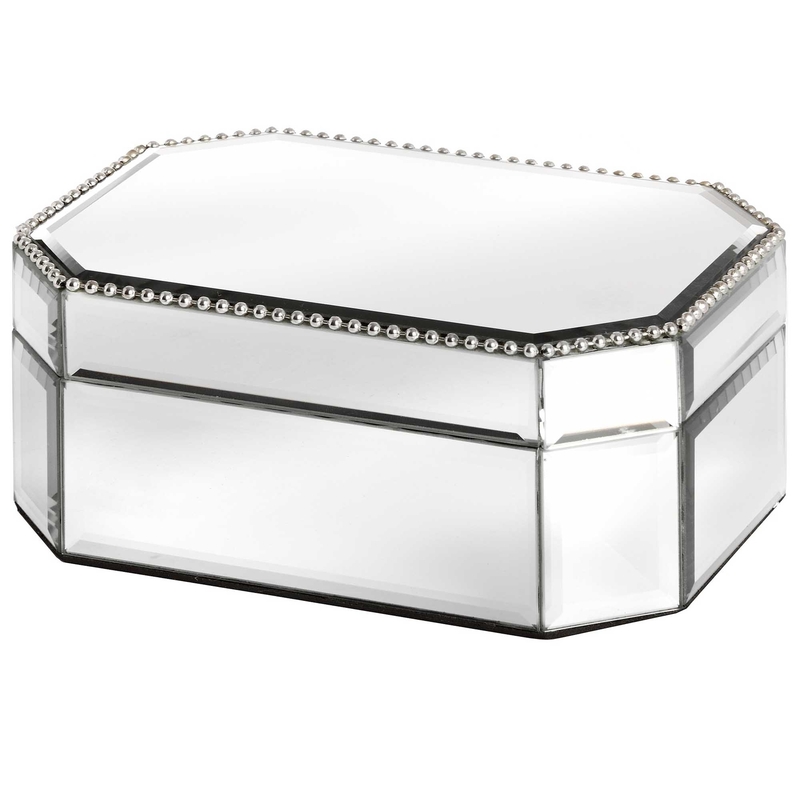 With a mirrored design, which has been beautifully complemented with a beaded design across the top part of the box. Use this box for its intended use to keep your jewellery safe or feature this box on any table in your home to add a little extra style. Crafted from a range of mirrored glass, this will make for a gorgeous addition.